When I was nine or ten years old my mom worked evenings as a social worker. Eventually my mom went from working as a social worker to being a foster parent. She had purchased a fairly large home and we had room for up to five children at a time. I was eleven when the first foster child came to live in our home. She was the same age as me, but her life seemed complicated for someone so young. I was told next to nothing about her history. I didn’t know where she came from, why she was in foster care, or why she had to attend a completely different school. Her name was Kelly and she was classified as “specialized”. In foster care there is this period of time when you have a child come to live with you that is generally quite pleasant and uneventful. This is referred to as the honeymoon period. The first two weeks Kelly lived with us were great. I loved having what felt to me like a sibling. Kelly and I were inseparable, except for that period of time when she got on her bus and went to some school I had never heard of, bringing home work she claimed was too hard. I remember doing her math homework in the morning before her bus arrived because I didn’t want her to fail and get in trouble. She said she would and I believed her. However, after the first two weeks things changed dramatically. It is hard to remember exactly what happened or what precipitated some of the fights, but Kelly and my mom did not get along. Mainly it appeared that Kelly did not appreciate rules or authority. I never had any problems with Kelly, but then again I never told her what to do or how to do it. All of this eventually culminated into a major ordeal where she attempted to hang our dog by its leash in the backyard. When my mom attempted to intervene, Kelly got physical and tried to hit her over the head with a stool from the kitchen. While I only remember those specific details, and then Kelly being removed from the house, it stands out in my mind saliently. After Kelly left we learned about her past. She had experienced various forms of abuse and she had burned the family home down. It seems she might have also hit someone with a rock, but to be honest, it is hard to remember all of the details. It just seemed odd to me that we would come to learn those things after Kelly had already lived in our home. The one thing that I could not understand is why she tried to hurt the dog. The dog was extremely friendly and posed no real threat to anyone. It was unlikely the dog did anything to upset Kelly. It was confusion over this action, in particular, that motivated me to go to the library to try to figure out why someone would do something like that. I came across this book called High Risk: Children without a Conscience. It was a disturbing account of children who were unable to bond with others. It detailed attachment disorder and discussed the consequences of failing to address children who do not bond to parents or caregivers early in life. It described Kelly perfectly, from her superficial demeanor to her highly manipulative approach to dealing with all people she encountered. Sometimes I wonder what ever happened to Kelly. It is hard not to imagine her still living in the same state, either in the state prison or having served time there. However, the truth is I have no way of knowing whatever became of her. I wonder sometimes, knowing what I know now, if she could have been helped. While I don’t have an answer to that, the mere question prompted me to investigate the topic further. A while back I came across this documentary called “Child of Rage”. The documentary features a girl named Beth Thomas. Beth, like Kelly, experienced years of abuse. The documentary details the sexual abuse she endured and the severe consequences through unflinching narrative given by a very young and extremely candid six year old child. Beth Thomas was placed into a foster home along with her younger brother. The documentary features discussions between Beth and her therapist. She talked about sticking pins in her brother and wanting to kill him. She also disclosed that she wanted to kill her foster parents. The foster parents had taken in Beth and her brother from the time they were very young. Beth was 19 months old at the time and her brother was under a year old. Both children had significant emotional problems stemming from the abuse they suffered in the past. Even though the children were babies, the abuse took a drastic toll on each child’s ability to function. The children were found in filthy conditions. The boy’s head was flattened from having been left in a crib, rarely if ever receiving stimulation or attention from a caregiver. Beth also demonstrated inappropriate sexual behavior toward her brother. This behavior is common among children who are abused and usually serves as a red flag that something has happened to the child demonstrating the behaviors or is happening. Failure to address this, through intensive therapy and intervention, is devastating to both the child acting out and the children they come in contact with. Beth’s foster parents eventually reached the limit of what they could handle when it came to having the child in the home. They feared for the life of Beth’s younger brother and they were concerned about their own well being. After examining Beth and analyzing her complex situation, the therapist decided that she needed to be removed from the home and placed into the care of a woman specializing in children who demonstrate a lack of conscience. Beth was placed into the care of a woman who took other similar children into her home. On the documentary she explains that she had previously taken in children who had committed murder and other extreme acts. She talked about her approach to healing these children in terms of addressing the basic level of trust existing between the children and the adult. The woman provided an exceptionally structured environment. She used tasks and responsibilities to build self-esteem and self-efficacy within the children. The use of positive feedback also helped to build trust. The miraculous aspect of this particular story is the transformation Beth made after going to live in this woman’s home. In time she no longer hurt animals or people. She did not report any desire to hurt other living beings and she exuded a clear degree of confidence and self-esteem. This and other stories like this one provide insight into the ability of children to develop a conscience. While some people believe that children who exhibit harmful behaviors cannot change, this documentary and other stories like this one are proof that children are highly resilient. Another important message contained in these stories relates to the impact of abuse on children – including extremely young children who are abused at an age when most would not even think they might remember it. Many people who have seen this documentary, or remember it from a long time ago, may wonder what has happened to Beth since she has become an adult. Some of the techniques used to help Beth overcome her problems are highly controversial. For example, holding therapy is a practice that has been touted as helping children with attachment disorder form bonds with others. It has been highly criticized, however. Without speaking to the efficacy of this or other techniques, I will say that Beth’s childhood problems and subsequent recovery is fascinating. Today Beth is a registered nurse. She has co-written a book along with Nancy Thomas. The book details the experiences of both Beth and the Thomas family in regard to raising children who came from similar backgrounds. Further examination of children like Beth could provide valuable insight into the best methods for providing children from abusive environments, who lack the ability or desire to bond with others, tools that promote these types of relationships. If we know, as a society, that healing is possible then what implication does that knowledge have on the way we treat these children as they age? What about the implications of failing to address the systems that are supposed to identify these children early on, but don’t? All I know is that Beth’s story is inspirational and gives hope to so many other children out there who have been battered and abused. It is a story that suggests we all have a responsibility to help these children to heal and overcome their tragic circumstances. Eric Perez was just days into his eighteenth year when his life ended suddenly. The circumstances surrounding his death are both tragic and disturbing. Eric died within the care of the Palm Beach Regional Detention Center where he was incarcerated because he had been caught with a small amount of marijuana while riding a bike with a broken light. The offense was relatively minor, but the consequences weren’t. In March 0f 2012, State Attorney Michael McAuliffe released the grand jury presentment pertaining to Eric’s death. The document contains information about the last hours of the young man’s life based on interviews, reports, and surveillance video. The picture painted by State Attorney McAuliffe, to the grand jury, is not a pleasant one. On the evening of July 9th of 2011, Eric accompanied the other male juveniles from module B-2 to the cafeteria to eat some snacks. It was almost 8 p.m. Before leaving the cafeteria, the three officers that brought the boys began conducting searches to ensure that no one took any of the snacks with them upon leaving. Eric left the cafeteria appearing unsteady on his feet. Within a fairly short amount of time the report stated that Eric once again appeared normal. He was sent to bed at about 9:30 p.m.
At about 1:30 a.m. Eric’s cell mates called an officer into the are because Eric was screaming. His cries became louder as he yelled for someone to “get it off me, get it off me.” The officer who responded reported that Eric was hallucinating and subsequently called the supervisor. By the time the supervisor arrived, Eric was staggering around inside his cell. The officers asked Eric to leave the cell, which he did by crawling since he did not appear to be able to stand. Eric laid down on the floor and rolled from side to side. He screamed that his head hurt. The officers observed all of this take place, but no one did anything to help the teen. Instead, Eric was given a mattress pad to lie down on in the common area of the facility. Officers helped him onto the pad and then covered him with sheet. Eric appeared to fall asleep on the pad. At about 2:22 a.m., Eric awoke. He rolled off his mattress and then vomited on the floor. He also lost control of his bowels and was reported as defecating in his clothing. and underwear. Officers tried to help Eric to his feet but he could not stand. Despite the alarming turn of events, no attempt was made to contact 911 or to seek medical assistance for the teen. It was not until 2:39 a.m. that the supervisor made the first call to the superintendent of the facility. He reported that Eric was vomiting. The supervisor was advised to contact the nurse. He called the nurse twice between 2:39 a.m. and 3:07 a.m. The calls went unanswered and the report specified that the nurse was no on call. The supervisor again contacted the superintendent at 3:08 a.m., informing him that he was unable to get in touch with the nurse but that everything with Eric appeared to be okay because he was sleeping. The bigger problem, in the eyes of the officers, appeared to be the smell that accumulated as a result of Eric having lost control of his bowels. The officers made attempts to clean around Eric. Video surveillance showed the officers mopping the area, but failing to check on Eric. At about 5:15 a.m. one of the officers attempted to help Eric stand so he could take a shower. The teen was unable to stand up and so the officers dragged him by the mattress pad into what is known as a medical confinement cell. Pillows were placed around the teen and he was covered with sheets. Eric could be heard snoring. No further attempts were made to contact a nurse or the superintendent. 911 had still not been contacted. The last visible movement from Eric occurred at 7 a.m. His arms, which had been placed at his sides, moved slightly. An examination of the video by the medical examiner revealed that this movement was “decerebrate posturing”, indicating that this was the time when Eric died. The female officer continued to report checking on Eric every ten minutes; however, evidence was presented to the grand jury that the officer was checking on a youth who had already been deceased for about an hour. At 7:57 a.m. a call was finally made to 911. Eric was pronounced dead shortly upon their arrival at 8:09 a.m. The report describing the presentment to the grand jury indicated that the Palm Beach Regional Juvenile Detention Center had policies and procedures pertaining to contacting 911. Employees are directed to contact 911 if a “potentially life threatening medical emergency arises.” If a youth experiences medical difficulties that are of an unknown severity level the officers are to send the individual to the clinic or call a nurse to conduct a further assessment. The facility had signs posted prominently throughout stating that staff members maintained the right to call 911 if they believed a situation was potentially life-threatening. However, this did not occur in Eric’s situation. All incidents are also to be referred to the Central Communications Center (CCC). A review of the detention facilities practices showed that between July 1st of 2011 and July 10th of 2011, 107 reports and/or calls were made to emergency services from the facility. Despite the policy requiring the facility to report these incidents to the CCC, only eight were ultimately reported to the CCC. Prior to Eric’s death, officers involved in the incident had received training – some within weeks of the event – regarding the policies and procedures regarding handling a youth in custody who appeared sick or injured. Officers are taught during that training that they can contact 911 at their own discretion without receiving approval from a supervisor. But in Eric’s case, no one did. The grand jury found that the staff at the detention center were insufficiently trained when it came to identifying early warning signs of a potentially life threatening situation. They further indicated that the facility needed to provide an around-the-clock trained medical professional for the purpose of evaluating youth who might be experiencing a life-threatening emergency. At one point, many of the youths are seen pointing at Mr. Perez as if he had the prohibited snack in his possession. Two DJJ officers are then seen lifting Mr. Perez, one by Mr. Perez’s head, and one by his feet. Mr. Perez is turned upside down and dropped onto the floor or nearby wall hitting his head and/or should area. Throughout the interaction in the cafeteria, the youths laugh and joke with the DJJ officers and appear to treat the entire interaction like a game. The DJJ officers do nothing to discourage this behavior. The DJJ has and had policies prohibiting that type of interaction, but they were not followed. In addition to the above, the grand jury also cited inappropriate reactions to the medical needs of residents on the part of officers. They pointed to the lack of care provided when Eric experienced hallucinations, head pain, and other signs of clear distress. The officers’ response to Mr. Perez’s hallucinations, instability and cries of pain were to simply observe him as he lay on the floor vomiting and defecating in his underwear. More effort was spent cleaning the floor around the youth than attending to his welfare. An autopsy revealed that Eric died from a cerebral hemorrhage. The autopsy did not find that the teen had external trauma that would have caused the bleeding, despite the video showing he injured his head. The medical examiner’s office was unable to determine if Eric’s death could have been prevented. Specialists, including one in neuropathology, reviewed the video and the medical evidence in an attempt to determine if the hemorrhage was caused by the injury or if medical intervention could have prevented the youth’s death. They were unable to make this determination. Despite the efforts of four forensic pathologists and one practicing neuropathologist, there is not sufficient evidence establishing the specific cause of the cerebral hemorrhage that resulted in Mr. Perez’s death or whether prompt medical attention could/would have saved his life. Thus, no criminal charges are appropriate. As a result, the manner of death is undetermined. The grand jury indicated that criminal charges could not be brought against anyone in reference to child neglect because they did not feel that Eric met the criteria of “child” according to the statutes. The grand jury report contained several recommendations. The first was that the correctional officers at the facility receive extensive training. The second was that the policies and procedures be modified to contain the requirement that officers must seek an evaluation by a medical professional for youths complaining of a medical condition. In mid July two officers working for the facility were fired after having been placed on administrative leave following Eric’s death. Though the facility had not confirmed the reason for their termination, the media drew a correlation between Eric’s death and the dismissing of the officers. The same report indicated that Eric was scheduled for release from the facility within a week. 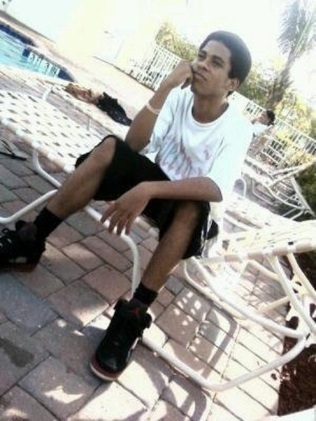 Juvenile justice administrators had offered to pay up to $5,000 in funeral costs to bury 18-year-old Eric Perez, who died at the West Palm Beach detention center on July 10. But after the state cut a check to the Tillman Funeral Home, Florida’s chief financial officer ordered that the check be destroyed, records show. The article also indicated that this would not have the first time a youth’s funeral was covered by the state. The same article stated that five corrections officers were suspended because of the incident, along with Anthony C. Flowers, the facility’s superintendent. In terms of the recommended changes, only time will tell if they are implemented. Eric’s death is unsettling for many reasons. The lack of response to the rapid onset of his symptoms is perhaps the most troubling, although I was really disgusted to read that the state issued a check to assist in paying for the funeral, only to put a stop on it. Eric has not been the only youth in Florida to die within the custody of a detention facility. Omar Paisley died in a Miami-Dade Detention Center in 2003, after spending three days in his cell writhing in pain due to an appendicitis attack. If you are equally disturbed by what you have read there are actions you can take toward ensuring the recommendations provided in the grand jury report are put into effect. The first thing you can do is contact the Secretary of the Florida Department of Juvenile Justice, Wansley Walters, and urge her to monitor implementation of the recommendations. Her contact information is available here. You can also share Eric’s story and ask others to take action as well. Please help to prevent the death of another youth in Florida’s detention facilities. Sending an email costs nothing and it could have a significantly positive impact if our voices are heard and acknowledged. Another action you can take is to contact legislators within Florida to modify statutes relating to child neglect or abuse to ask that all youth detained within the state’s facilities be included in the description of children who qualify for protection under the law. You may find contact information for Florida House Representatives here.